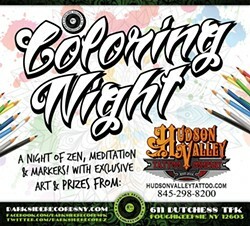 Join us for a free night of relaxation, zen, fun all through the magic of some coloring. 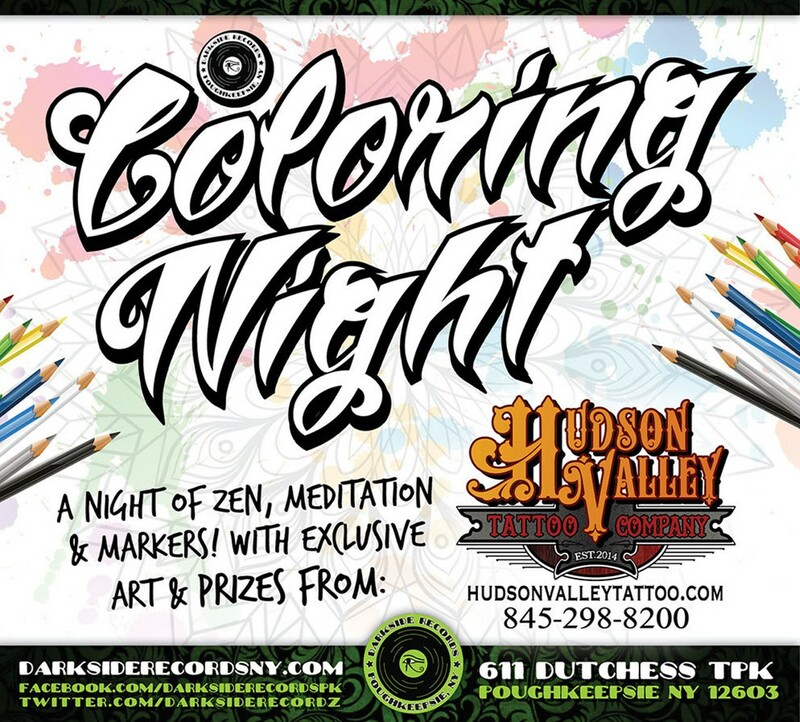 Add some color to exclusive artwork and illustrations from the artists over at Hudson Valley Tattoo Company, including Mike Shishmanian Jason Carpino Diego Martin, Rick Lohm and more. We'll have some crayons, markers and more on-hand but you are welcome to bring your own crayons/markers/whatever as well.